In 1987, Gordon Gekko prided himself on the term “Greed is Good”. In Martin Scorsese’s The Wolf of Wall Street, greed is a state of mind. A smooth talker and shrewd salesman, Jordan Belfort (DiCaprio) has a way with words. He learns fast, expertly teaching home-grown friends to con the top 1% of earners to invest in dodgy shares. Meanwhile, his company – part-owned by Donnie (Hill) – snags the majority of financial reward. 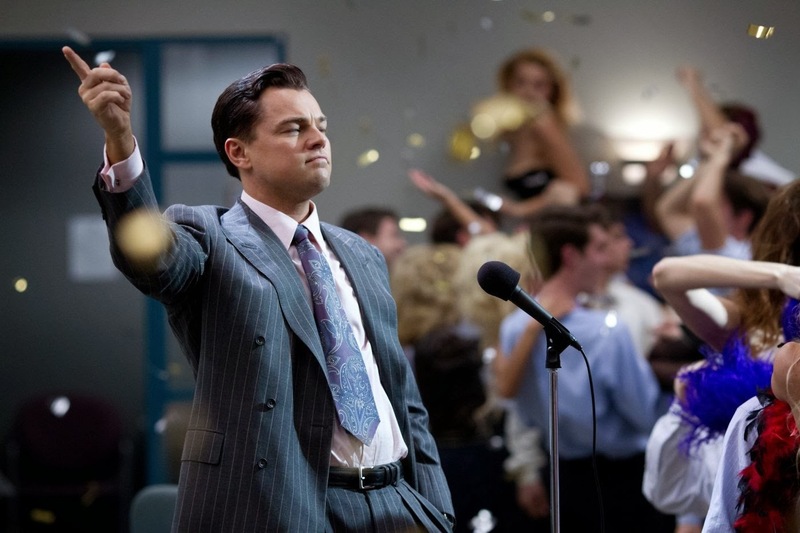 Written by Sopranos-alumni Terence Winter, he uses Goodfellas-style narration to simplify the stock-market as DiCaprio cuts to the chase – is it legal? No. How much money were they making? $22m. We get it – through illegal means, Belfort lives a life of excess and orgies; hookers and drugs. Snorting, smoking and pill-taking his way through seven years, it’s shocking to see how the law treats the rogue trader – and the beauty in how pertinent it is in 2014.